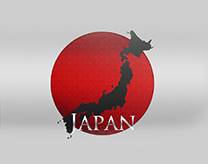 Japan Fibre Report 2015, Acrylic Staple Fibre demand in Japan, Polyester Filament Fibre. Japan consumed 613,000 tons of manmade fibre and 63,000 tons of cotton in 2014, ranking 12 largest consumer during the year. 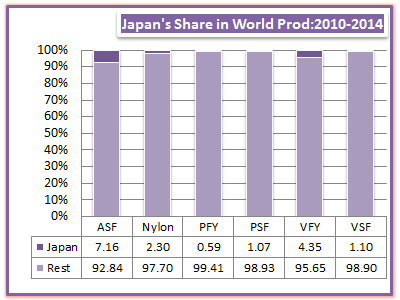 In supplies, Japan was third largest producer of ASF, fourth in VFY, seventh in nylon and and ninth largest in VSF.